Huge numbers of new businesses are started up each year and with barriers to entry lower for online ventures and a propensity for consumers to transact more via mobile devices there are opportunities to be had. One particular area that has seen huge growth in the recent past has been the online casino. 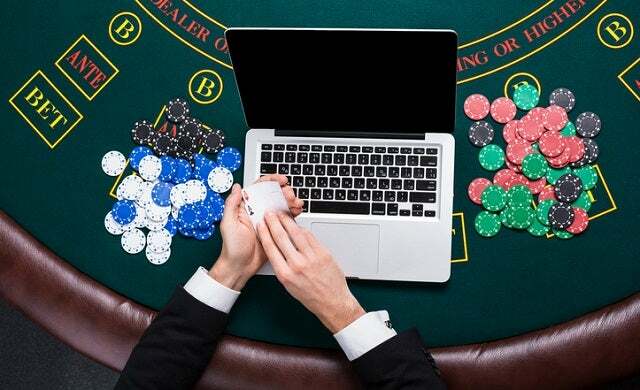 By offering a service that people want, and having the right technology to deliver it online, gaming has even managed to attract many players more used to indulging their passion in the land-based casinos. In fact, the Gambling Commission says online gambling represents a third of all gambling in the UK now and generated £4.5bn gross gambling yield between April 2015 and March 2016. This makes online gambling the biggest gambling sector – out-performing the National Lottery (£3.4bn) high street betting shops (£3.3bn), and traditional casinos £1bn). £2.6bn of the money generated via online gambling came via casino games, with the rest of the £4.5bn generated via betting exchanges, bingo, pool betting, and online slot machines. You might also be surprised to know that women represent more than half of UK gamers, with 54% of gamers citing their smartphone as their favourite gaming platform, followed by computers, consoles and tablets. Plus, with ever more involving experiences being delivered – from the live online casino to the huge potential of virtual reality – it’s a business area that looks certain to be even more lucrative in the future. The first thing must be to have a clear idea of how your online casino or gaming site is going to stand out from the rest. For example it could have a particular demographic in mind or have a distinctive theme, maybe retro-styled games. It’s a crowded field so it really will pay to have a good idea of your brand and its identity. Then there are the technical aspects to consider. You’ll have the choice of buying software off-the-shelf which you can use as it comes or of commissioning a bespoke version. The former is always going to be the cheaper route but the latter will give you greater flexibility to create exactly the games that you want. The design is also vitally important and certainly not an area to skimp on. Not only will it reinforce your identity, the slicker and more professional it looks the greater the trust it will generate – an essential element in any gaming site. What should the user ‘journey’ look like? Linked to the design is the user experience. If you’re going to become successful the site must be simple and intuitive to use. So be prepared to do plenty of testing on the way, getting real people to play games on the site long before it goes live. How have other online casinos evolved? It’s also well worth looking at the stages that major online casinos have gone though to reach where they are today as this could provide a blueprint for your own success. If you take 888casino as an example you’ll see 20 years of constant evolution in which the brand was developed, new divisions were set up and sub-brands were introduced. The company has also been gradually expanding its operations into new countries and markets, often as new legislation has been introduced permitting online gaming. Of course, not every fledgling business is going to grow to the size of a company with a multi-million pound turnover and you may not be quite as successful as some online gaming entrepreneurs. But then, if you never try, you’re never going to know for sure.